INFEvision 2018, the video contest held by the International Network of Fan Clubs of Eurovision (I.N.F.E) will be holding this year’s edition in Minsk, Belarus on December 15. After last year’s United Kingdom’s victory and following the country’s withdrawal from this year’s edition, host country of this year will be Belarus. The local INFE Belarus club promises us an outstanding INFEvision Video Contest. This year’s edition was launched in mid September when INFE Belarus revealed the INFEvision 2018 slogan “UnitedByMusic” . From that point all INFE clubs were given a period until 7 October to confirm participation to the host country. A total of 18 countries around the globe will eventually be participating in this year’s contest, which is a new record number for the comeptition itself. 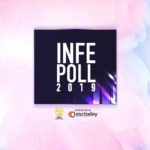 According to the regulations sent to all INFE clubs the participating countries must submit their acts, songs and official videos of their entries no longer after November 10. All national clubs had the right to determine their representatives through a national selection process or internally or in any other format they choose. The videos of all participating countries were revealed on November 13 when the international online voting opened. Europe and Rest of the World Start voting!!! Take a look on the page Participants on the top of the page to listen and watch all the official music videos or watch the official recap. After watching the video cast below your votes. Each person can choose up to 3 countries that he liked most of all. The Grand final of the contest is scheduled to take place on December 15 and will be aired by the host country on the official Youtube channel. The I.N.F.E.Vision video song contest is a video song contest held by the International Network of Fanclubs of Eurovision (I.N.F.E.) and takes place via the network. 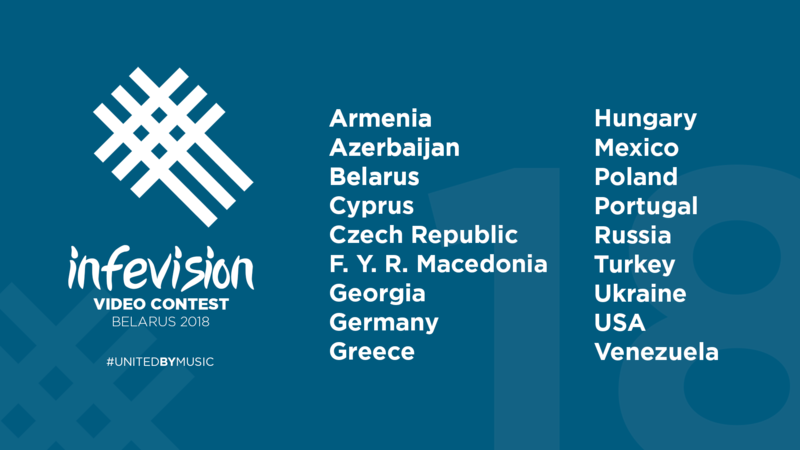 The first contest took place in 2011 and after a break of two years (2015-2016) came back in 2017 with Azerbaijan being the host country. The right to participate in this contest have all member-clubs of the INFE network. 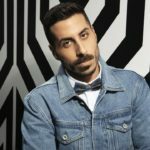 Every local club can choose via an internal process an artist from its country and a song in the country’s language or English, alongside with the official video of the competing entry. The duration of the song must be less than 5’ and the production year has to be within the last two years. In the first two editions of the contest the participants were members of INFE that took part individually, by selecting a country from around the world, but due to the expansion of INFE and as more nations joined the Network it was decided to be organized among the clubs. However each year’s secondary terms may change according to the host country’s special rules but the general framework remains the same. 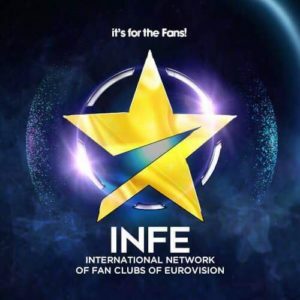 INFE (International Network of Fans of Eurovision) is one of the two international non profit organizations of Eurovision fans(the other is that of OGAE). The INFE Network was established back in 2011 by a total then of 10 countries. After 7 years of national and international presence and interactive initiatives the club counts today more than 20 countries and an upgoing popularity as more nations are in progress to join. Greece, Azerbaijan, Spain, France, Greece, Cyprus, Turkey, FYR.Macedonia, Czech Republic, USA, Poland , Belarus, Ukraine, Germany, Hungary, Portugal, Armenia, Australia,Venezuela, Mexico, and Tunisia have subscribed to our organization. 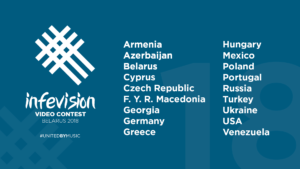 INFE enjoys years now the ongoing support of EBU and national broadcasters in its only objective to spread the Eurovision spirit and values around the globe and share the common passion of its members for more and more Eurovision! 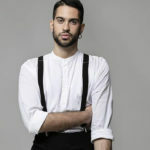 Through its international site www.infenetwork.net and its regional national clubs’ sites never stops updating fans on the latest news on the Eurovision Song Contest and other Eurovision events such as Junior Eurovision. INFE wishes to embrace fan communities around the globe and welcome all nations on board. More information and details on our network can be shared by sending us an e mail to president.infenetwork@gmail.com . Don’t forget to follow us on instagram and on Facebook for more news and updates on your favorite song contest.